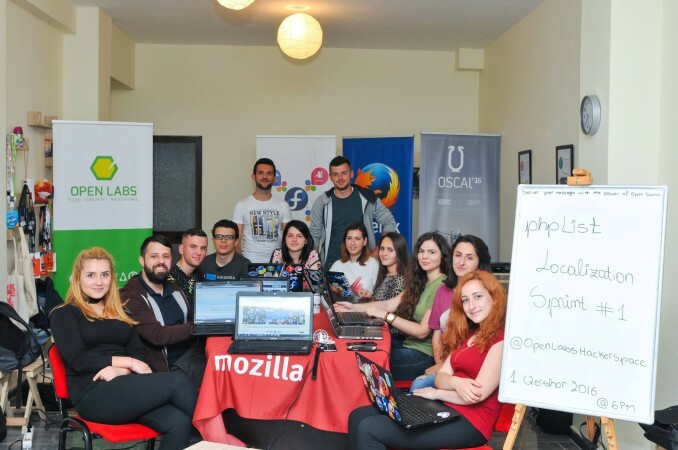 A translation sprint was held on the 1st of June at 6 PM for the first time, at Open Labs Hackerspace in Albania. Our goal was to translate phpList though participation and involvement of new contributions, using the phpList Community translation platform. 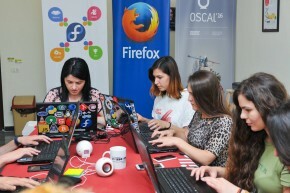 During the event the participants managed to translate 30% of phpList in just one evening. By Saturday morning 100% was reached — all 9,714 phrases had been translated into Albanian. As this was the first time we were organising such an event, we didn’t expect many people, but there were 12 participants (mainly students) who attended the event (more than in most of other events of this kind), and all of them were really motivated and hands on to translate as much as they could. There were pizza, snacks and drinks that helped us turn the hackerspace in a very friendly environment, and also T-shirts for our top contributors. There were lots of discussions and interactions within the community, effectiveness & productivity and qualitative translations that helped increase the translation percentage and made us reach our goal. Each of them were rewarded with phpList T-shirts and phpList Stickers, and a group photo from the photographer Andis Rado who kindly volunteered his skills for the event. Photographs are available under a Creative Commons By-NC-SA 4.0 license.